balatonfenyvesLearn more about the settlement: location, skills and more. 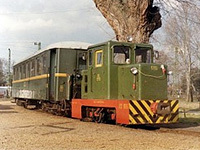 Balatonfenyves train departing from the center of the grove of the most beautiful parts of the Great takes the tourists. Initial stage of the MAV high station, from ca. 200 m away. A small train runs Somogyszentpál. The surrounding countryside Balatonfenyves formerly belonged to the lake water surface, but the wave induced turzásgátak separated from the lake. The resulting swampy area in the 1860s drained, and then attempted to land in the area between them. The area approach, however, hampered by the mud, soft soil. This resolve the situation between the two world wars, 4 km length of 600 mm gauge railway was built on the station and Imre Balatonfenyves MAV-major one. Then even horses pulled the wagons, there was no scheduled passenger traffic. This short line was destroyed during the Second World War, so after the war was necessary to build a new railway. The Great Lake State Farm Bereki initiative of the 1950th began on October 13 of the 760 mm gauge railway economic trajectory laying. The marshy, swampy area perpendicular to hálózták tracks. Majorságokból in the area of agricultural crops, peat and lime slurry supplied Balatonfenyves the railway station. 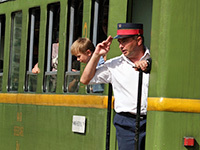 Today, both tourists and locals like to travel to the small train. Traffic is currently the only scheduled Balatonfenyves Central High-Major (Imre Major) Somogyszentpál-line, the latter section of the track condition is good, as has been completely refurbished, so here is the Mk48 rail diesel locomotives as well as navigate.